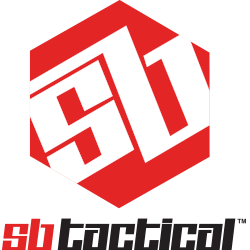 The SBL is the lowest profile, full cavity Pistol Stabilizing Brace available. The minimalist design adapts to AR and AK host pistols, as well as many specialty platforms. The SBM4 Pistol Stabilizing Brace is the evolution of the original SB15. Thinner, lighter and with enhanced cheek weld ergonomics. The SBM4 provides increased stability, improved accuracy and usability. The SBM47 Pistol Stabilizing Brace enhances any AK build with a slim profile and enhanced cheek weld ergonomics. Designed to compliment the aesthetics of AK-type platforms, the SOB47 Pistol Stabilizing Brace features a slim profile enhancing any AK pistol build.